Nestled on the beach, this Arorangi apartment building is 0.9 mi (1.4 km) from Puaikura Beach and 2 mi (3.2 km) from Aroa Beach. 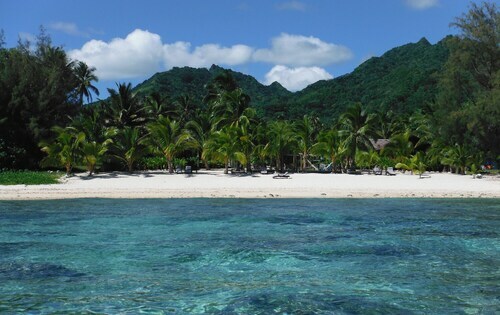 Rarotonga Golf Club and Black Rock are also within 3 mi (5 km). 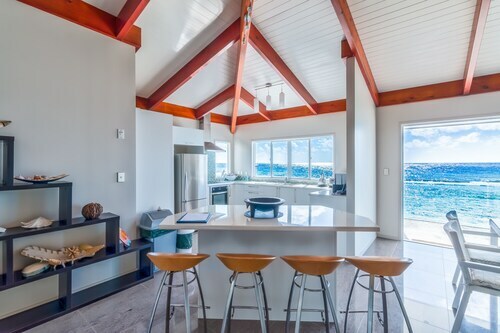 Nestled on the beach, this Arorangi villa is 0.9 mi (1.5 km) from Puaikura Beach and 2 mi (3.3 km) from Aroa Beach. Rarotonga Golf Club and Black Rock are also within 3 mi (5 km). 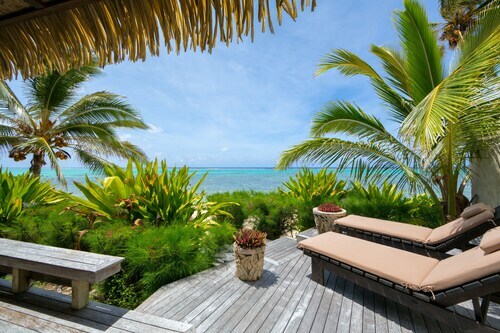 Offering direct access to the beach, this Rarotonga villa is within 1 mi (2 km) of Te Vara Nui Village and Tikioki Marine Sanctuary. 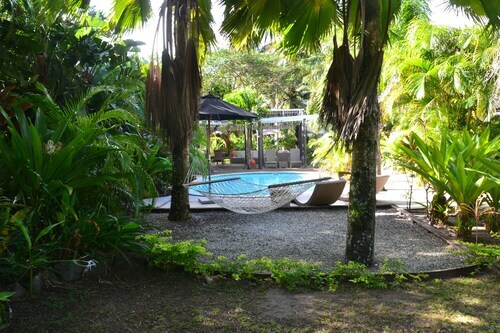 Located in Tapere of Rutaki, this aparthotel is within 1 mi (2 km) of Aroa Beach and Te Rua Manga (The Needle). Maire Nui Botanical Gardens and Muri Beach are also within 6 mi (10 km). Located in Matavera, this beachfront apartment building is in the historical district and within a 10-minute walk of Muri Lagoon and Muri Beach. Koromiri and Te Vara Nui Village are also within 1 mi (2 km). Nestled on the beach, this Tapere of Titikaveka villa is just steps from Tikioki Beach and Muri Beach. Muri Lagoon and Matutu Brewing Company are also within 10 minutes. 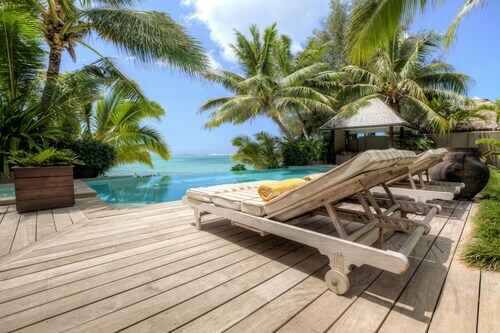 Nestled on the beach, this Rarotonga villa is just steps from Muri Lagoon and Muri Beach. Muri Night Markets and Te Vara Nui Village are also within 5 minutes. 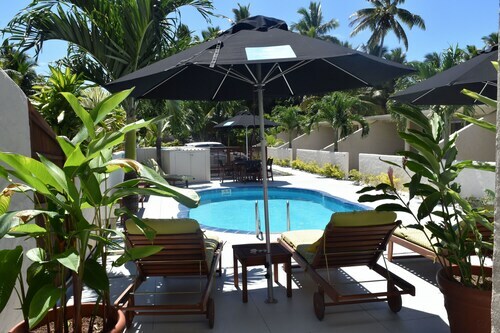 Offering direct access to the beach, this Arorangi aparthotel is in the historical district and within a 15-minute walk of Black Rock and Rarotonga Golf Club. Cook Island Christian Church (CICC) and Cook Islands Library and Museum are also within 6 mi (10 km). 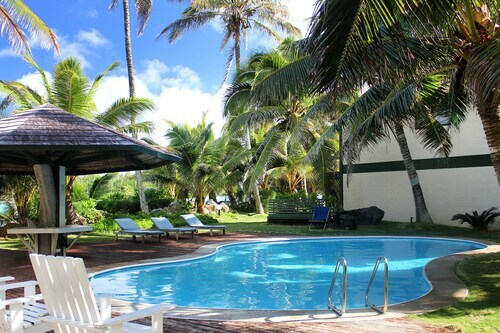 Situated in Rarotonga, this apartment building is within 1 mi (2 km) of Muri Lagoon and Muri Beach. Te Vara Nui Village and Koromiri are also within 1 mi (2 km). Nestled on the beach, this Matavera apartment building is within 1 mi (2 km) of Muri Lagoon and Muri Beach. Koromiri and Te Vara Nui Village are also within 2 mi (3 km). 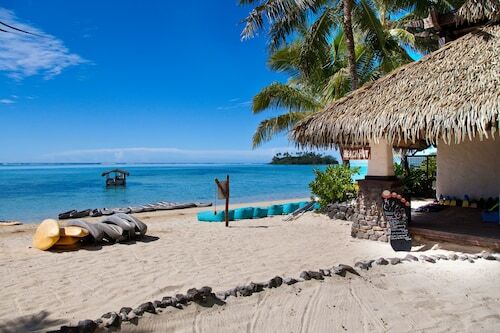 Nestled on the beach, this Avarua villa is within a 10-minute walk of Beachcomber Pearl Market, Cook Islands National Museum, and Cook Island Christian Church (CICC). Para O Tane Palace and Cook Islands Library and Museum are also within 10 minutes. 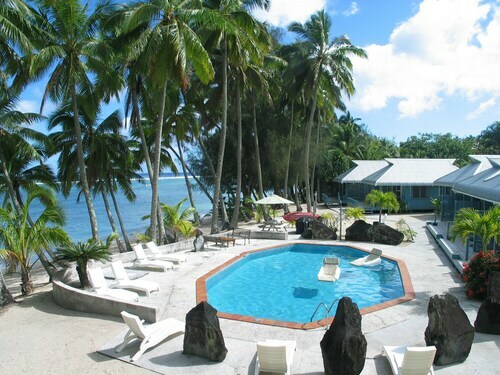 Situated in Rarotonga, this apartment building is within a 10-minute walk of Muri Lagoon and Muri Beach. Tikioki Beach and Muri Night Markets are also within 15 minutes. 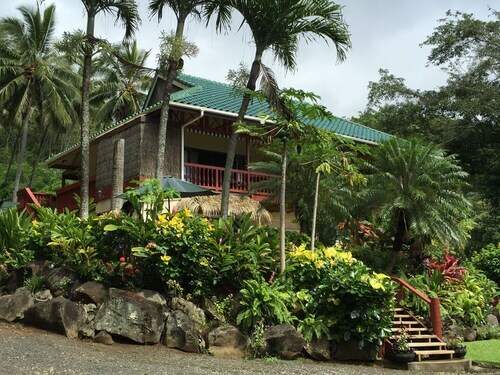 Nestled on the beach, this Tapere of Vaimaanga vacation home is 1.4 mi (2.3 km) from Wigmore's Waterfall and 1.8 mi (2.9 km) from Aroa Beach. Puaikura Beach and Tikioki Beach are also within 3 mi (5 km). 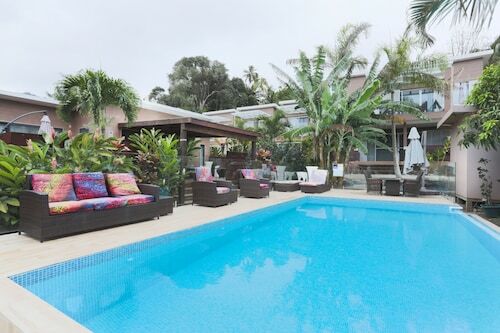 Located in Arorangi, this vacation home is within 1 mi (2 km) of Puaikura Beach and Aroa Beach. Te Rua Manga (The Needle) and Black Rock are also within 3 mi (5 km). 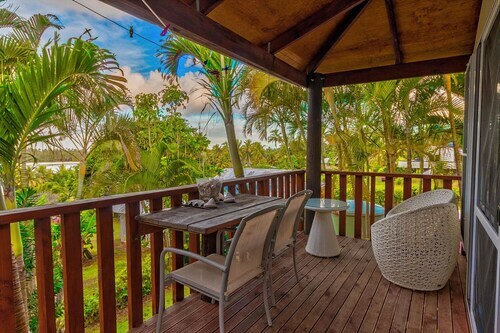 Nestled on the beach, this Arorangi cottage is within 1 mi (2 km) of Puaikura Beach and Aroa Beach. Rarotonga Golf Club and Te Rua Manga (The Needle) are also within 3 mi (5 km). 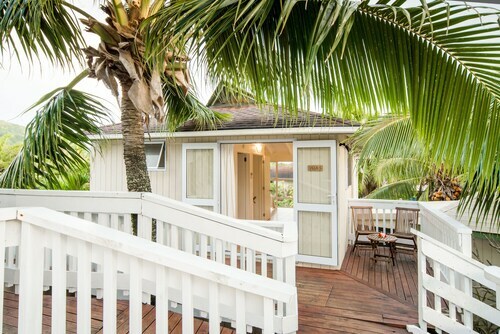 Situated near the beach, this cottage is steps from Muri Lagoon and Muri Beach. 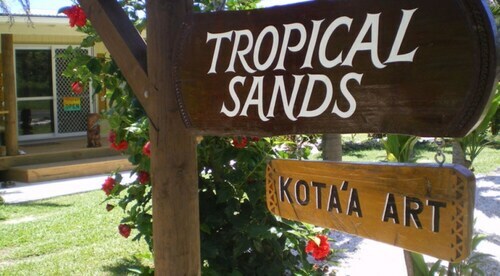 Te Vara Nui Village and Koromiri are also within 15 minutes. 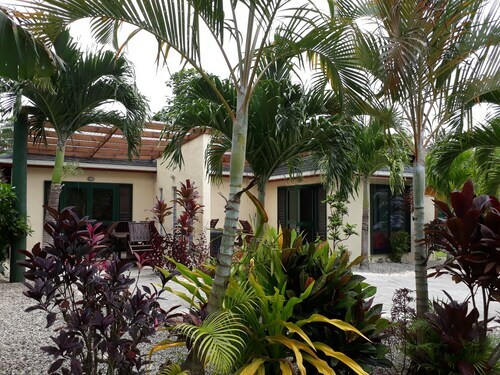 Located in Arorangi, this villa is within 1 mi (2 km) of Black Rock and Rarotonga Golf Club. Punanga Nui Market and Aroa Beach are also within 6 mi (10 km). You’re the type of person who wants to be right in the middle of it all, but still have your own space. You want to be able to take care of everything yourself, but also get plenty of R&R. 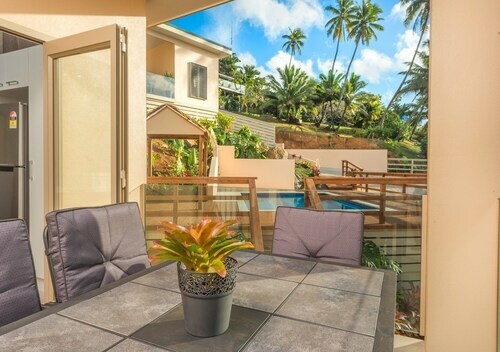 Well, holiday rentals in Rarotonga are ready to roll out the welcome mat. We mean that literally—they probably do have a welcome mat. 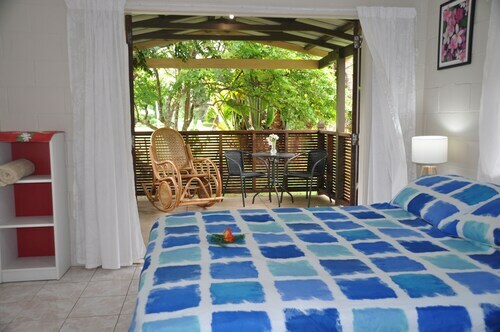 It’s all those little things that will make you fall in love with this type of accommodation, and with Rarotonga itself. Once you’ve stayed in a holiday rental, you’ll wonder why you ever stayed anywhere else. 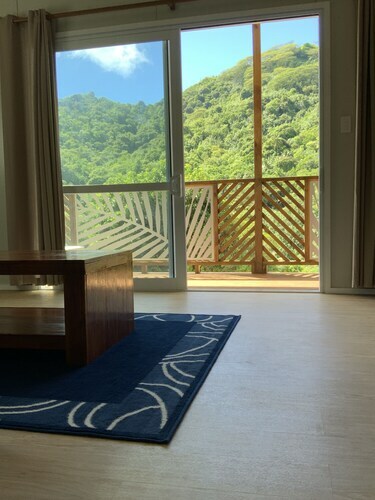 Rarotonga holiday houses have everything you could need in a place to stay, along with several things you probably never even thought you needed. Towels and linens? Check. Cooking utensils? Check. Dog treats for the pupper? Well, you might want to bring your own to your pet-friendly holiday house, just in case. (He’s a picky little prince anyway, right?) But otherwise you’re good to go. You might even find some games for the little ones, if you’re bringing the family along. If you are bringing the kids, don’t let that dissuade you from looking for the finer things. 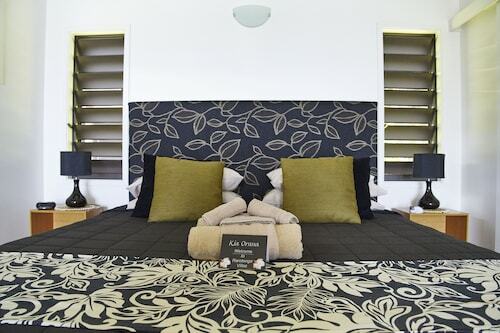 Luxury is the name of the game in Rarotonga, and house accommodation is no different. Sure, it should feel like a home away from home—but more like a really fancy home, where you don’t have to worry about cleaning or mowing the lawn. Yes, it’s as great as it sounds. 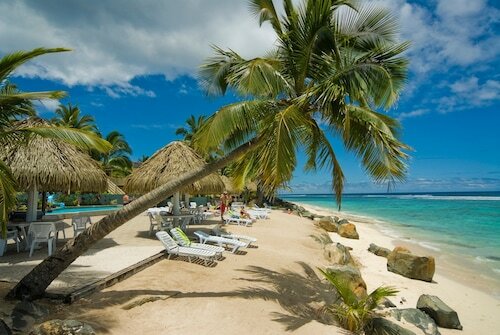 Make your next getaway truly your own. 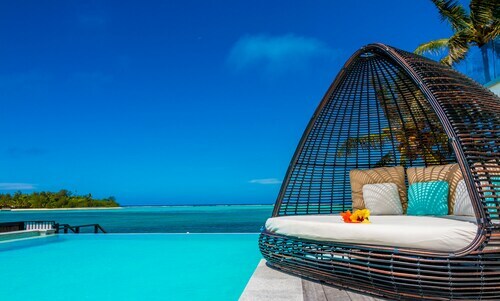 We’ve got plenty of holiday accommodation in Rarotonga with your name on it, so pack up your favourite books, wine and that playlist of summer hits from 2003. It’s your time to shine. 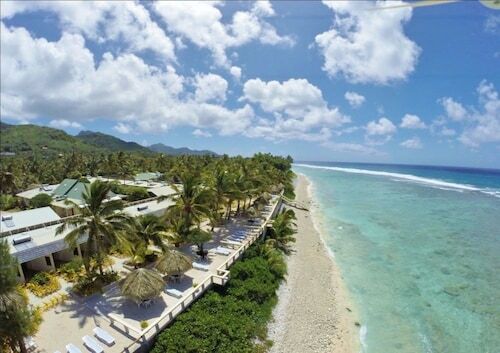 Nestled on the beach, this Rarotonga hotel is within 3 mi (5 km) of Aroa Beach and Wigmore's Waterfall. Muri Night Markets and Te Vara Nui Village are also within 9 mi (15 km). 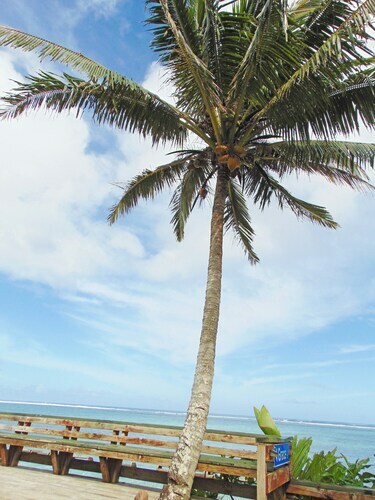 This Rarotonga resort is located in the historical district, set on a private beach within a short distance of Beachcomber Pearl Market, Cook Islands National Museum, and Cook Islands Library and Museum. Also nearby are Cook Island Christian Church (CICC) and Para O Tane Palace.